From Morgan Rice, #1 Bestselling author of THE VAMPIRE JOURNALS, comes the first book in a new series: THE VAMPIRE LEGACY. This file contains Part One only, at 20,000 words. In RESURRECTED (Book #1 of the Vampire Legacy), 16 year old Scarlet Paine finds herself changing in mysterious ways. She is becoming sensitive to light, able to read peoples' thoughts, and is faster and stronger than she's ever been. She doesn't understand what's happening to her, and tries to ignore it. But she can only dismiss it for so long. Caitlin Paine, her mom, knows too well what's happening to her daughter. She underwent the same transformation to vampire once, centuries ago. But now, in the present day, as a mere human, she has no memory of it. All she has is the journal she found in the attic—her mysterious vampire journal—telling of her exploits in another time and place, and of the vampire race being eradicated. But was there one exception to the rule? Could it be that Scarlet, her daughter, is the last remaining vampire on earth? As Scarlet tries to fight who she's becoming, she also tries to fight her intense feelings for Blake, a boy in her grade who she has a crush on. She can't tell, though, if he's into her, and with the big Halloween dance just days away, the pressure is on. She would do anything for Blake to ask her. But Vivian, the meanest of the popular girls, is also on Blake's radar, and she'll do anything to make Blake hers—and to make Scarlet's life a living hell. Luckily Scarlet has her own clique of friends to back her up, including her best friends Maria and Jasmin. They, too, have guy troubles—but it isn't until Sage appears, the mysterious new boy, that her friends become obsessed. Scarlet finds herself attracted to him, too—and is surprised when it is her, of all the girls in the school, that he pays attention to. But her mind is set on Blake, at least for now, and she continues to hope he'll ask her to the dance. Just when it seems that Scarlet has what she wants, her body changes. Soon it may be impossible for her to be near her fellow humans. Soon, she may have to choose between her desire to live and her desire for love. 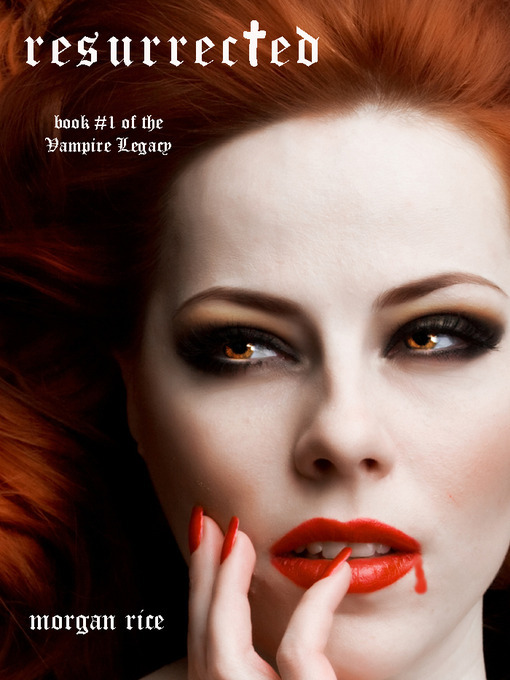 Book #2 in the series, CRAVED (Book #2 of the Vampire Legacy), is now also available. "Grabbed my attention from the beginning and did not let go....This story is an amazing adventure that is fast paced and action packed from the very beginning. There is not a dull moment to be found." "A great plot, and this especially was the kind of book you will have trouble putting down at night. The ending was a cliffhanger that was so spectacular that you will immediately want to buy the next book, just to see what happens." "Morgan Rice proves herself again to be an extremely talented storyteller....This would appeal to a wide range of audiences, including younger fans of the vampire/fantasy genre. It ended with an unexpected cliffhanger that leaves you shocked."